This vest now includes 3D spacer mesh padding along the inner face of the front and back panels for comfort and ventilation! The Low-Profile Assault Armor Carrier (LPAAC) is designed to provide the wearer with a high degree of mobility while providing an acceptable amount of armor coverage. The hard armor plates are contained in pockets attached to the outside of the soft armor carrier allowing the soft armor to mold to the wearers body for long duration mission comfort. The front panel wings contain 3 rows x 3 columns of MOLLE webbing on the front side to secure radio pouches and other close to the body gear, and small elastic retainers on the back side to route wiring. The cummerbund is adjustable to allow for climatic changes and also for girth adjustments for the wearing of side armor plates. 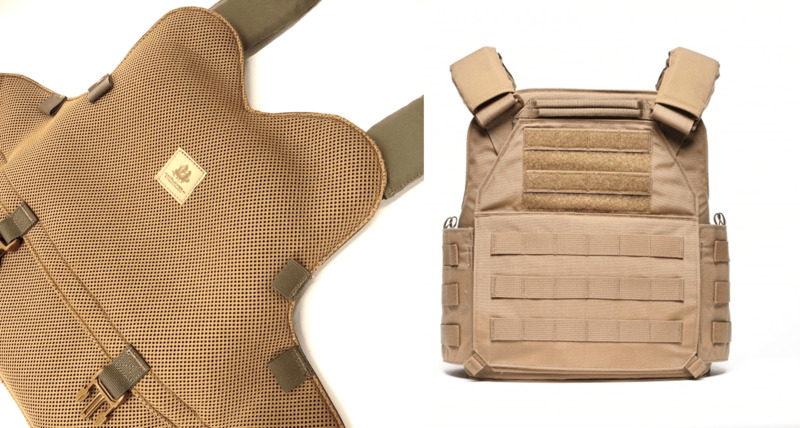 The cummerbund has integral pockets for 6" x 6" hard armor side plates and inner features elastic pockets on each side to hold M4 mags, radios, tourniquets and other similar sized gear. 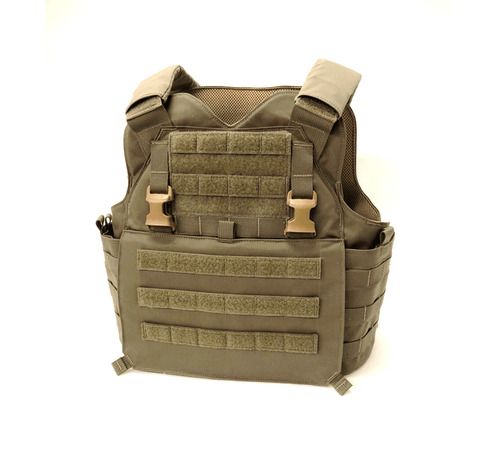 The LPAAC features removable SwiftClip® Buckles and velcro loop on the front of the vest to allow the individual to mount various chest rigs and placards directly to the carrier. This configuration allows the individual to use the same loadout with or without armor or have multiple chest rigs configured for different mission requirements. All materials and workmanship are 100% made in the USA. Also features removable buckles to attach a groin/lap panel (sold separately). Soft Tweave Stretch Padded Shoulder Sleeves now included. • Back Panel: Height = 16"
• Back Panel: Height = 17"
• Back Panel: Height = 18"